As the pinnacle of comedy in South Africa, the Savanna Comics’ Choice Awards celebrate the best of the best in comedic talent. Along with long-term partner, Savanna Premium Cider, the focus has been on recognising and awarding local comedians. That focus is expanding as both Savanna and the Awards look toward Africa. 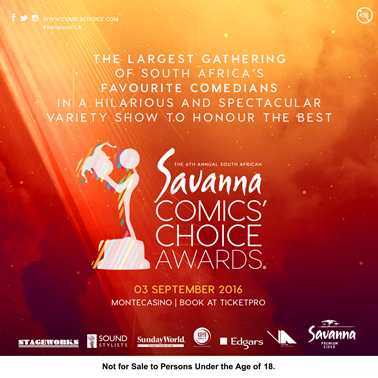 This year, for the first time ever, Savanna and the Savanna Comics’ Choice Awards will host eight of Africa’s top comedians at the awards show on September 3, 2016 at the Teatro at Montecasino. The African comedians have been given the honour of presenting the Waldo’s (the award statuettes) to their South African comedy comrades on stage on the night. Each of these African comedians is a success stories in their own right, with many having travelled and performed around the world. 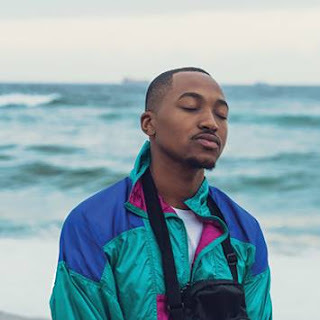 The media will be given “first access” to them at an official pre-awards press conference at Mythos, Montecasino on Thursday, September 1 at 13:00. Here the comedians will also meet and network with the Savanna Comics’ Choice Awards nominees, as they will be present for the award’s Pinning Ceremony. Savanna is all about the funny. Its ongoing partnership with the Savanna Comics Choice Awards® is part of the brand’s global plan to keep South Africa – and Africa – laughing. By hosting these African comedians, the brand furthers its aim of making comedy accessible throughout the continent. Make sure you attend the press conference as Savanna will be making an exciting announcement.